Would you dare walk alone in the tundra for a month? 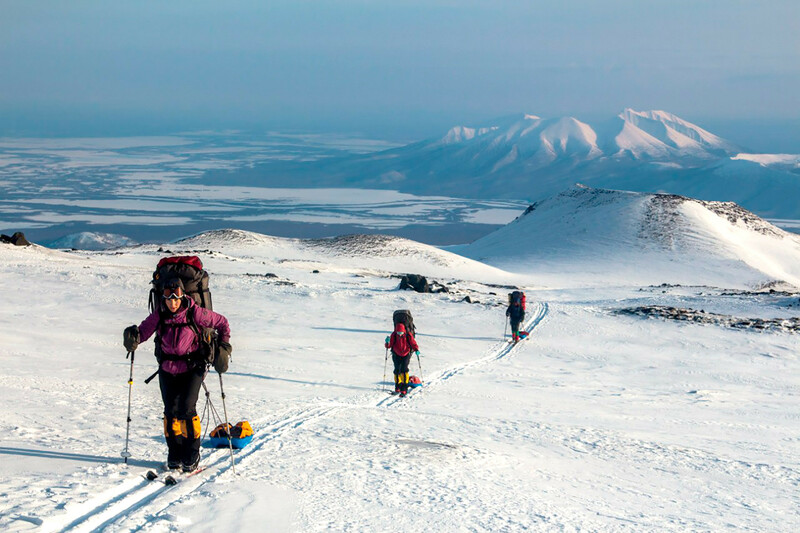 Or ski across the Kamchatka Peninsula? 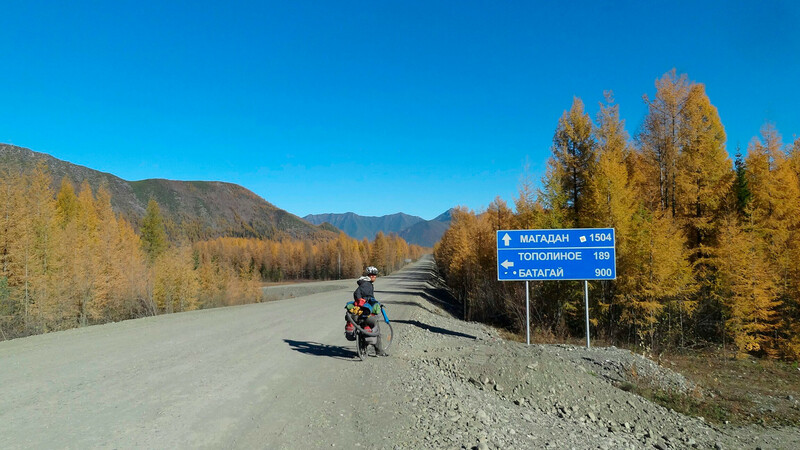 Or bike across Russia from the Arctic Ocean to the Pacific? These guys did and lived to tell the tale. A man, his SUP-surf and the ocean. 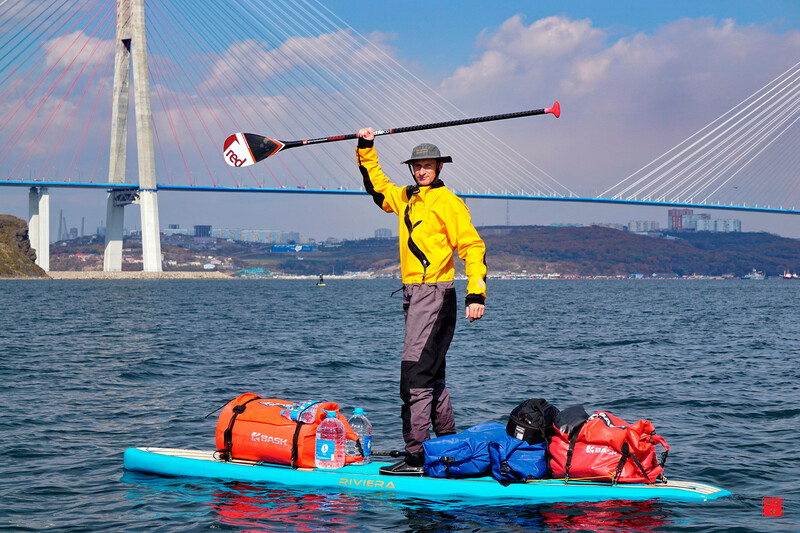 Maxim called it “Big Primorye Sup expedition,” paddling 70 days from the small town of Posyet in the Khabarovsk Territory to the village of Samarga in Primorye Territory. It's hard to imagine how this difficult journey was possible on such a small flotation device in a severe environment. “I psychologically prepared for the journey over the course of a year,” Maxim told DV.land(link in Russian). 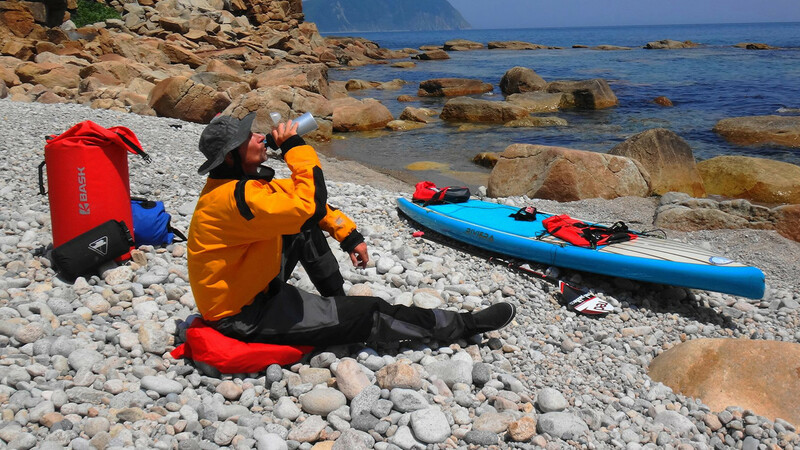 If the wind was too strong, he paddled, sitting instead of standing, moving forward 15-20 cm with each stroke. “When the sea was really turbulent, I said a pray that my mother had given me; it inspired a sense of determination and gave me strength,” Maxim recalls. Sometimes he came across fishing boats and their camps on the riverside, always talking to them, asking about the weather forecast and where exactly he was. Everyone offered help, and some gave him sugar and gingerbread. One day, the waves smashed Maxim against the rocks and injured his hand. 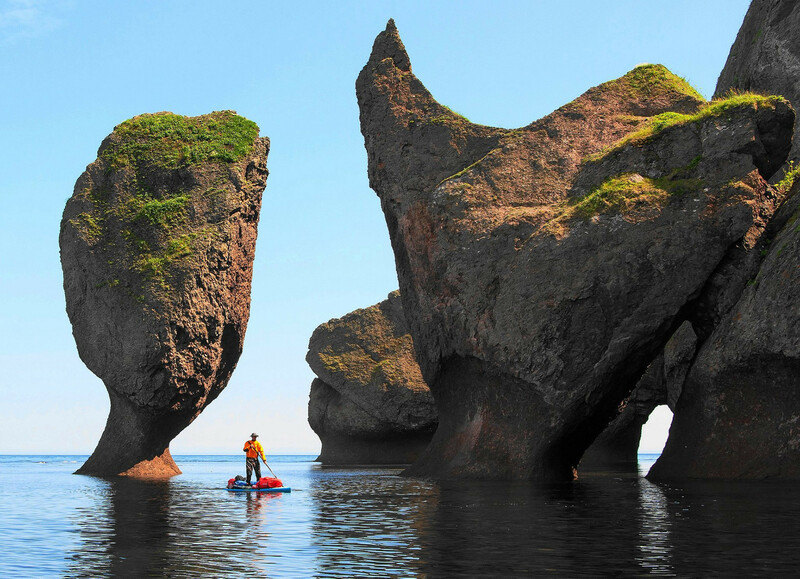 After making sure it wasn’t broken, he continued paddling even though the paddle was slippery because of his blood. From time to time he put his hand into cold salty water to alleviate the throbbing pain. Viktor didn't have the chance to surf, but only had his two legs and a backpack. 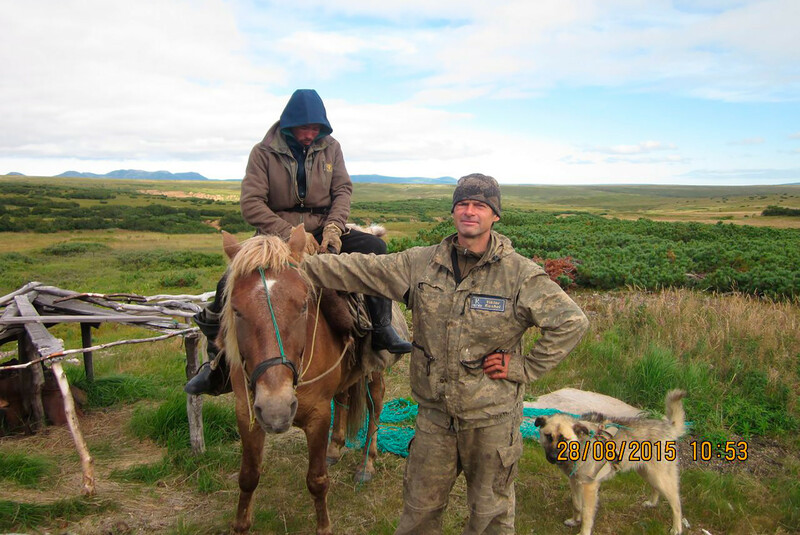 Once when working with gold miners in the north of Kamchatka, 70 km from the village of Manuly, Viktor and friends were waiting for a helicopter, which is the only feasible means of transportation in the remote area. That got him wondering: could he walk across the Kamchatka Peninsula to the city of Petropavlovsk-Kamchatsky. 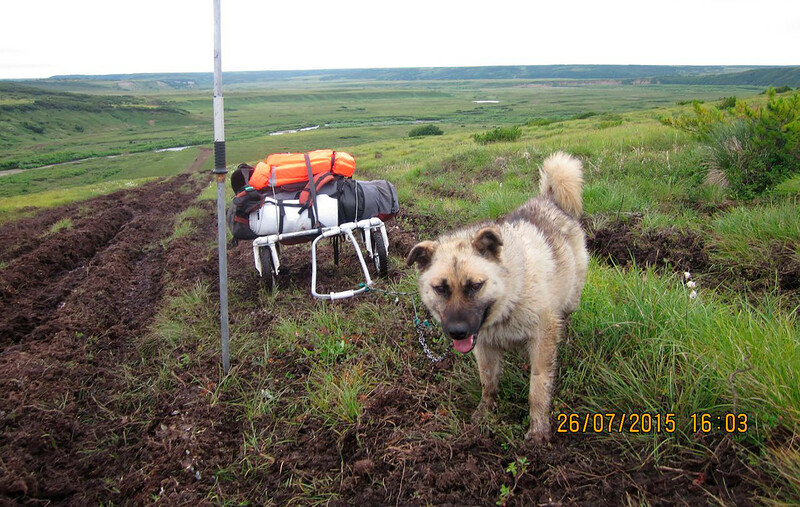 He had always wanted to learn how reindeer herders live, so he traveled to a reindeer herding camp at Chemurnaut Bay, took a dog with him and started walking south where the herd was said to be. Bears, however, were frequent companions, especially when Viktor started fishing. They were attracted by the smell, and the dogs would bark as soon as they sensed the bears. Then he blew a special whistle with full force to scare them off. 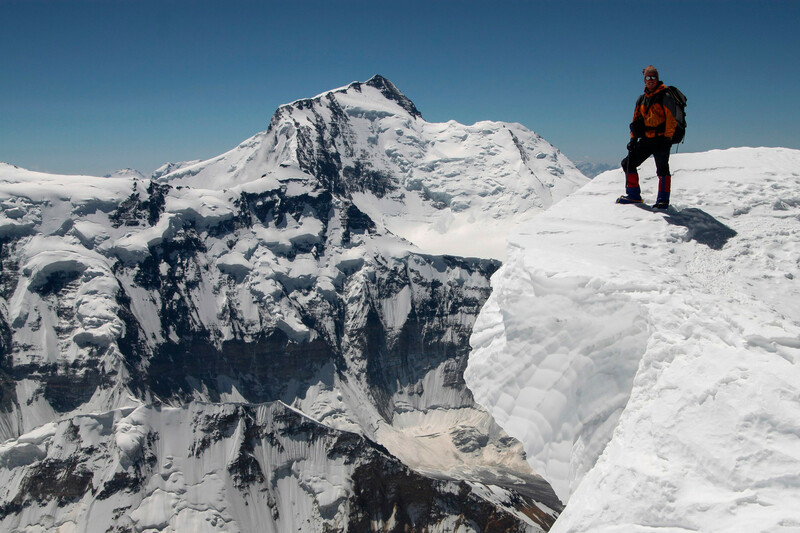 Viktor admits that the journey was dangerous, but it was a positive type of stress. The Strelnikov brothers have long been bike riding fans, several times finishing 80-100 km races. 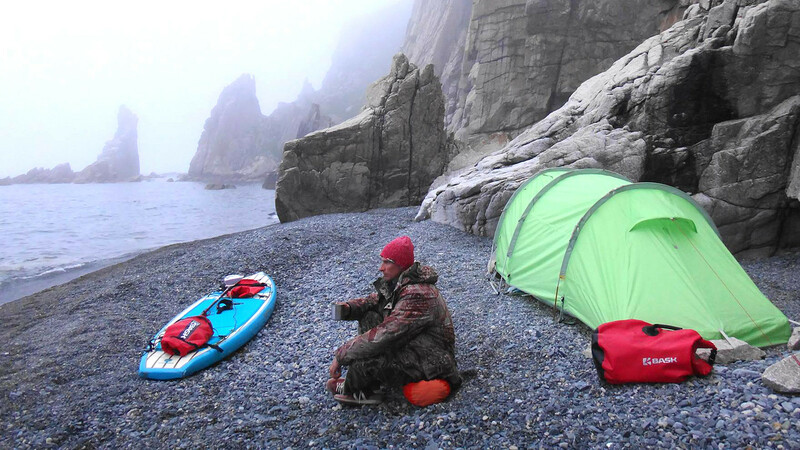 But then they decided to do something extraordinary, and set off from the banks of the Barents Sea, heading to the uninhabited wilds of Yakutia and the Magadan Region. As a symbolic gesture, they took water from the Arctic Ocean and at the end of their journey poured it into the Pacific. During their four and a half months they saw all four seasons. 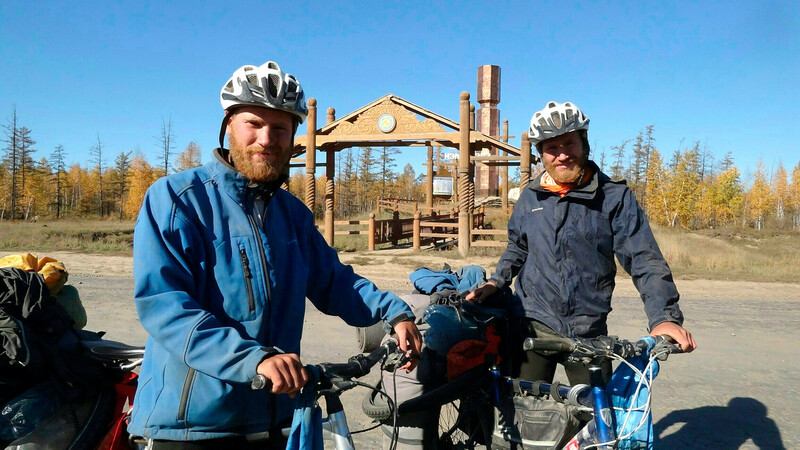 The greatest challenge faced by the brothers was in Yakutia when the temperature fell from +16 to -4 degrees Celsius within an hour. Sometimes they didn’t see human settlements for 300-400 km. 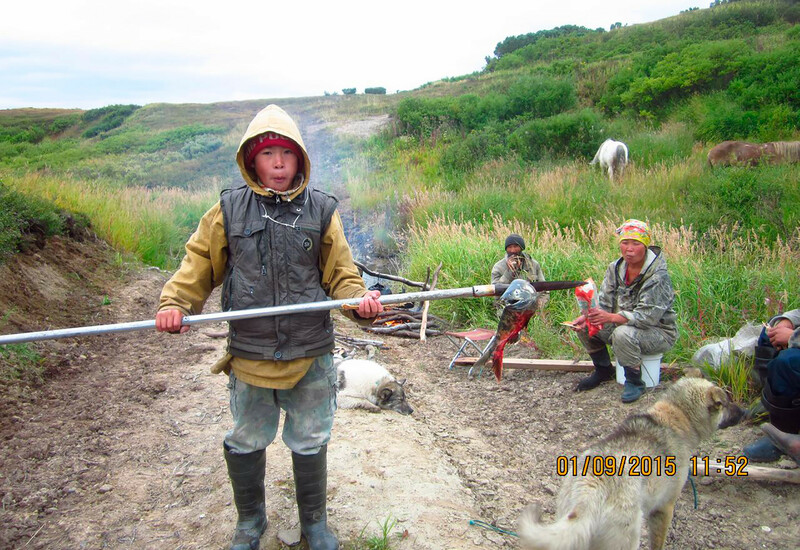 For nourishment, they ate dried and canned meat, as well as condensed milk, bringing food for 10 days in advance. They consumed 6-10,000 calories each day, but still lost 15 kilos during the voyage. Most of all, they remember the people who they met and who offered to help: someone offered a lift in their car, while another lit up the road with car headlights during a snowstorm. As always it started with a crazy idea. Sergei is head of a backpacking group that goes on long autonomous tracking tours, but this time they wanted something extraordinary. 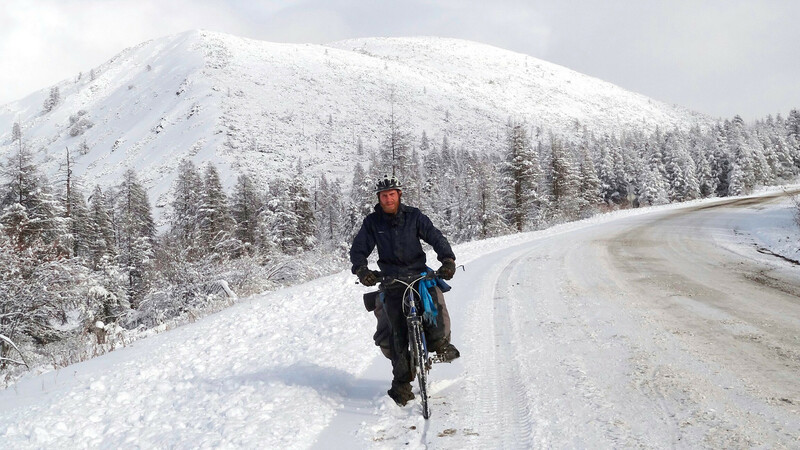 Over the course of 33 days they crossed 670 km, which is on average 20 km per day. Sometimes they went off the ski trail in deep snow, and crossed rivers covered by ice. 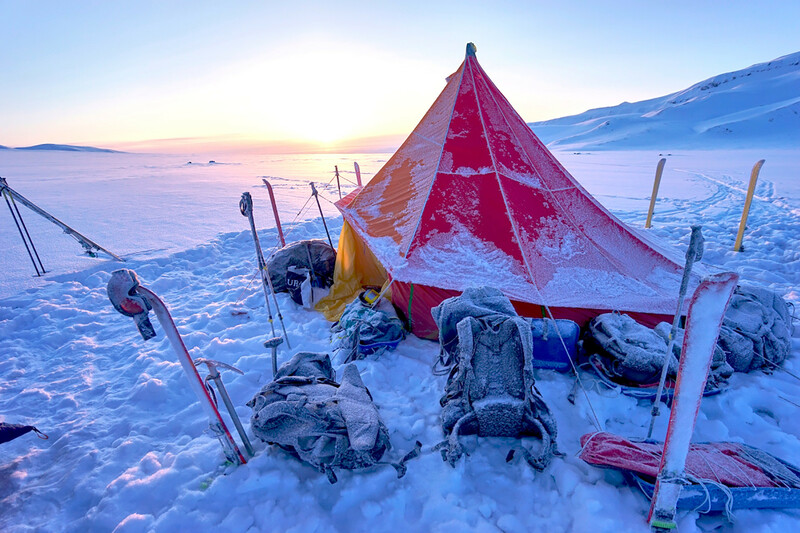 They faced -35 degrees Celsius and fierce snowstorms that prevented them from making camp. Afraid of avalanches they had to trek onward. Several times they saw bears that had just awoke from winter hibernation. Since they didn’t have guns they shouted loudly and the bears fled. If you want to experience a calmer side to Russia, watch our video: How to spend a weekend in Suzdal for just $100.